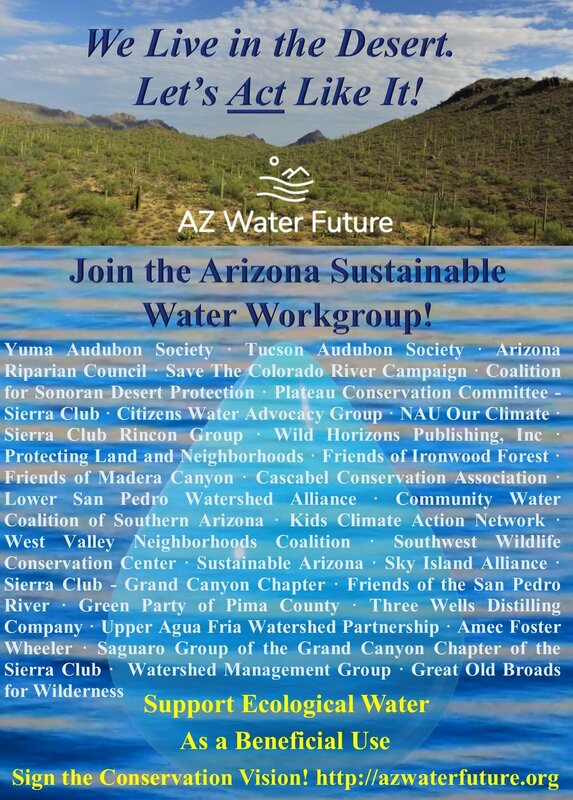 Sign the Conservation Vision and join the list of organizations, elected officials and individuals taking a stand for sustainable water policies. "We envision a future where all citizens can live comfortable, economically secure lives with good jobs, and enjoy healthy natural areas with flowing rivers and springs, healthy riparian habitats, vigorous wildlife, and recreational opportunities. Water is life. To sustain our lives and environment for the future, we need sustainable water policies..."